It seems like one of the big buzz words in education right now is DATA. The four letter word has had a lot of impact in the educational community recently. 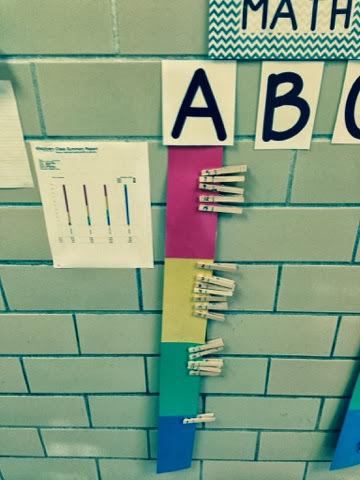 In my classroom, I use data in many ways. 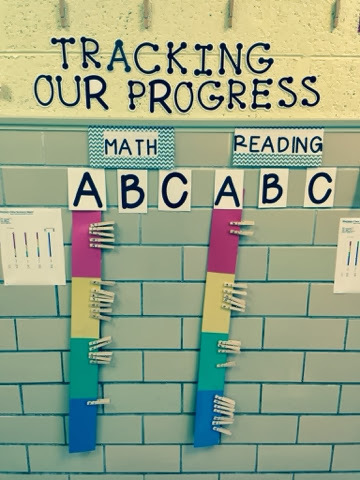 It tracks student growth and progress, drives my instruction, helps me individualize learning experiences, and simplifies my student grouping. There is so much data out that there it can become TOO much. But, my school is using data in a positive way to help us realize our classroom strengths and weaknesses as well as help us set student learning goals. Our district participates in Discovery Education's Think Link testing. These tests are are used to help us track what standards our students have or have not mastered. 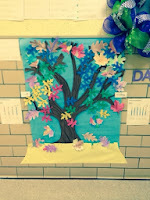 We assess our students, using this assessment tool, three times a year. 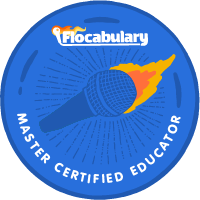 There are four levels- level one meaning little to no mastery on a skill, level two shows some mastery, level three shows on grade level comprehension, and level four represents above grade level performance. 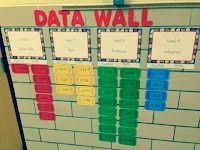 Below are examples of other data walls from fabulous teachers throughout my building. I love the uniqueness of each data wall! 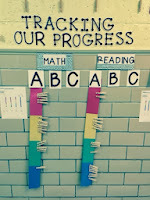 How do you track data in your classroom? 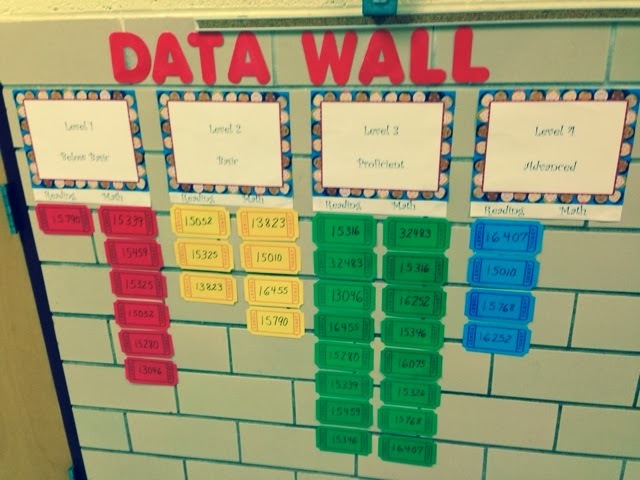 I like the idea of a Data Wall. We just started our Data Notebooks. 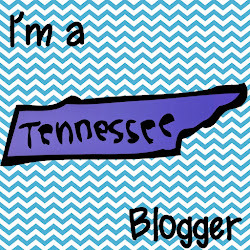 Right now we are focused on tracking our behavior and making goals for that since there is only a couple weeks left of the quarter. 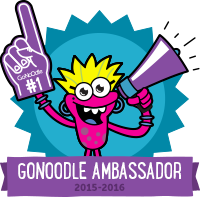 Hopefully we will track our academic data soon. 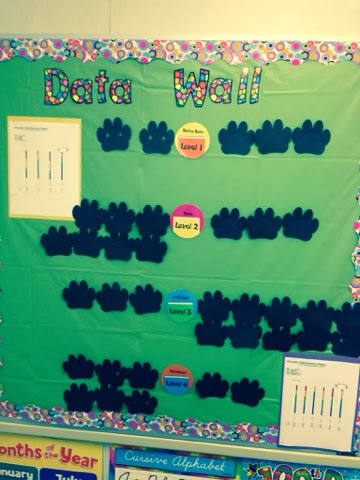 I think have a Data Wall would be good!